The Circle Mining District records a list of 320 individuals whose names appear connected to claims on Coal Creek, Woodchopper Creek and their various tributaries. Coal claims were the first claims staked in the drainages. Steamboats plying the Yukon River between St. Michael on the Bering Sea and Dawson City and Whitehorse in the Yukon Territory relied on firewood cut during the winter by individuals working as woodchoppers. Steamboats traveling upriver would burn upwards of a cord of wood each hour, and the transportation companies saw coal as a potential alternative to wood, provided it could be located in sufficient deposits, mined and transported to the riverbank. 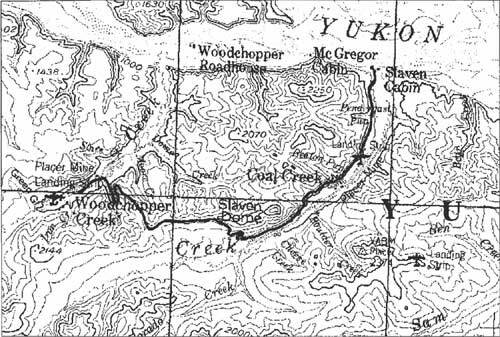 Woodchopper Creek was known by its name in 1898, probably derived from the woodchopping which occurred in the area to provide fuel for the 75 to 100 steamboats plying the nearby Yukon River at that time. The steamship companies contracted with woodchoppers to have the wood ready, and various woodyards were established along the Yukon River. On one upriver trip in 1905, a steamer stopped three times between Circle and Eagle to take on a total of 54 cords of wood. The cordwood piled on the bank in a 1926 photograph of Woodchopper Roadhouse indicated that Woodchopper was a regular stop on the steamboats’ route. 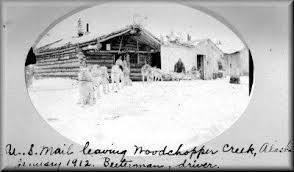 Woodchopper Roadhouse, built ca. 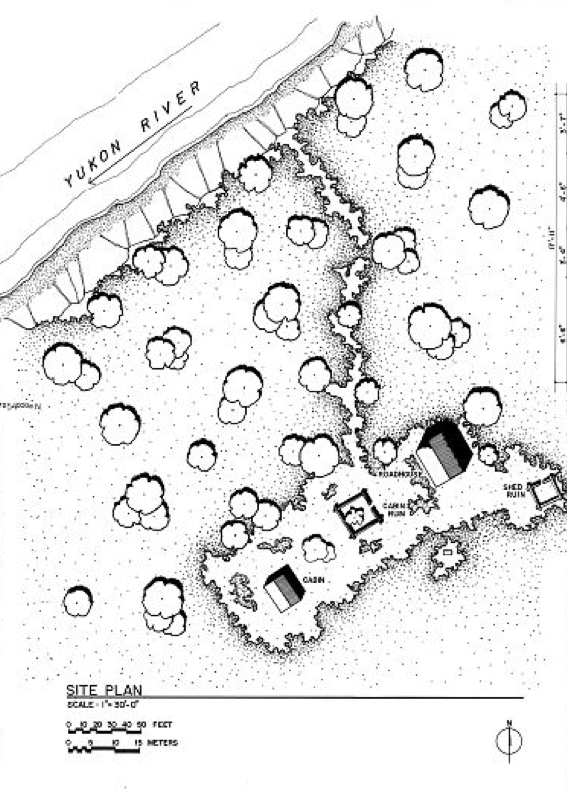 1910, was the oldest and largest log structure on the Yukon between Eagle and Circle. Located halfway between the two towns, on the left bank of the Yukon, approximately one mile upriver from Woodchopper Creek and 55 miles upriver from Circle, the roadhouse housed winter travelers and served as a wood stop for steamboats in the summer. In addition, the roadhouse functioned as post office and town center for the mining community on Woodchopper Creek from the early 20th century until the 1930s. No exact date can be attached to this structure, but it is thought that this building was built at about the time the mining on Woodchopper Creek began to thrive. 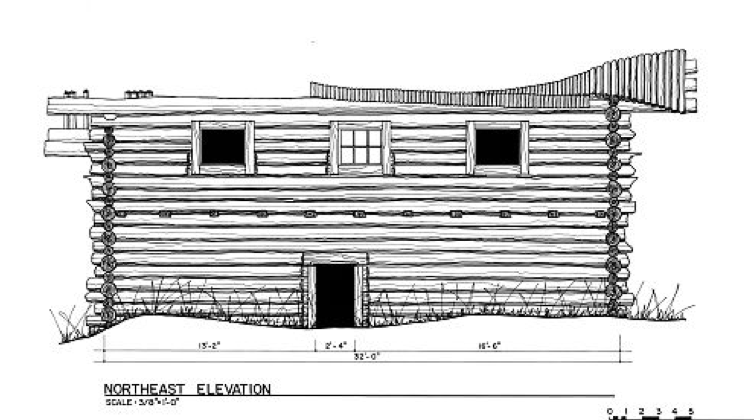 The two-story building is constructed of round logs, saddlenotched. The second floor was partitioned into four rooms. The interior walls and ceiling were covered with a canvas or linen material, and the board floor was covered with linoleum, which has been destroyed by flooding. Moss chinking between the logs was covered with cement sometime after construction. Outbuildings appearing in a 1926 photograph include a gable-roofed shed west of the roadhouse, a cabin west of the shed which appeared to be for residential use, dog barns west of the cabin, and a shed northeast of the roadhouse which had lapjointed corners. In the 1917-18 Polk’s Directory, Valentine Smith, a miner, was listed as running a roadhouse on Woodchopper Creek, which was probably this building. This is the last mention of him in any records, and it is assumed he left the area around that time. 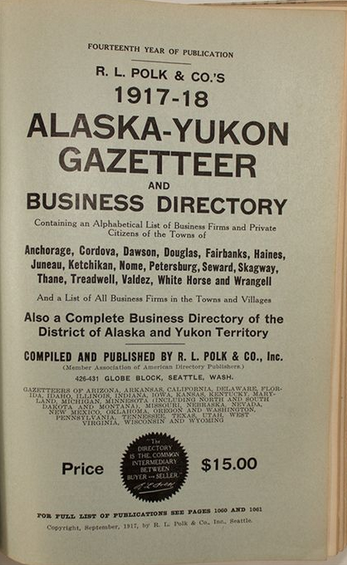 In 1919 Valentine Smith turned the running of the roadhouse over to Fred Brentlinger, also a miner, who, with his wife Flora, owned a number of lots in Circle, including the Tanana Hotel and Restaurant that they operated in 1911-12. They continued to become increasingly involved in the business community in Circle with Fred Brentlinger serving as a notary public. 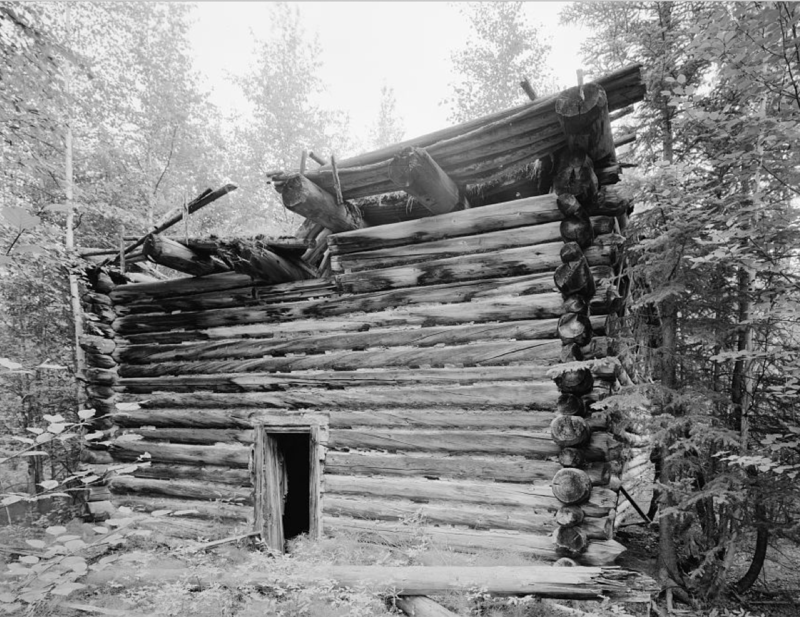 Between 1919 and 1929 the Brentlingers left Circle and ran the Woodchopper Roadhouse while staking claims on Caribou, Coal, and Woodchopper Creeks. When Fred Brentlinger passed away in 1930, Jack Welch and his wife Kate purchased the Woodchopper Roadhouse from Flora Brentlinger. She went to Manley Hot Springs where, along with C.M. “Tex” Browning, she purchased the Manley Hot Springs farm from Frank Manley. They retained the farm until 1950 when Bob Byers, operator of Byers Airways, bought it from them. It is unclear how long the Welchs had lived in the North Country, as no record was ever located for when they arrived. Jack held the winter mail contract between Woodchopper and Eagle, and he would run his dogteam through the roughest weather to see that the mail got through. But Jack lost the mail contract sometime around the late 1930s, as airplanes were replacing dog teams for carrying mail. Undaunted, the Welchs stayed on at the roadhouse. One spring a huge ice dam piled up in Woodchopper Canyon, five miles below Coal Creek. 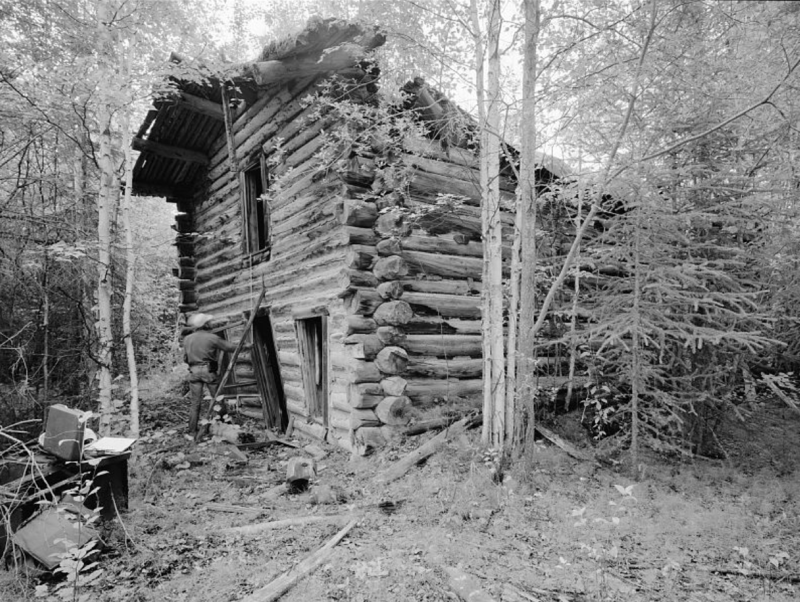 Miners Ernest Patty and Jim McDonald were spending the night in a cabin located at the mouth of Coal Creek, and in his book, North Country Challenge, Patty described the breakup: “At about three o’clock in the morning, loud crashing sounds woke us up and we jumped out of bed. The river had gone wild with the crushing force of the breakup. Normally the Yukon, at this point, is less than a quarter-mile wide. While we slept, the water level had risen fifteen feet. Rushing, swirling ice cakes were flooding the lowland on the opposite bank, crushing the forest of spruce and birch like a giant bulldozer. Before long ice cakes were being rafted up Coal Creek and dumped near our cabin. Satellite image showing the site of Woodchopper Roadhouse in relation to the Yukon River. The entire tragic tale of Jack and Kate Welch is told in chapter two of The World Turned Upside Down, and author Douglas Beckstead continues the story: “As it turned out, the howling of their dogs awakened the Welchs. They found ice water covering the floor of the roadhouse. Jack ran outside and cut the dogs loose allowing them to reach higher ground on their own. Some made it. Some did not. Jack returned with his boat intending to take his wife and make a run for higher ground himself At that point, the bottom floor of the roadhouse was under water and the second floor already awash. As huge cakes of ice slammed against the outside walls, Welch tied the boat to a second story window deciding that it would be better to stay with the cabin until the very last moment because the ice could crush his boat. Jack used a pole in an attempt to deflect ice cakes from hitting the cabin. Due to the terrors experienced that awful night, and perhaps exacerbated by his penchant for drinking to excess, Jack Welch began suffering from nightmares, and one night he awoke trembling, in a cold sweat, believing that the German Army was marching down the frozen Yukon River, coming for him. He decided that he was losing his mind and would be better off dead, and so attempted suicide with his .22 rifle, but only managed to wound himself. Although crippled with rheumatism, Kate hobbled two miles over the winter trail through the snow to seek help from their nearest neighbor, George McGregor. Kate’s death further unhinged Jack’s mind. Unable to accept that she was gone, he returned to the Woodchopper Roadhouse, expecting to find her waiting for him. When she wasn’t there Jack became distraught, and his concerned friends and neighbors radioed the U.S. Marshal’s office in Fairbanks requesting that they come and take him back to the hospital. But it wasn’t to be. Before the authorities could arrive Jack disappeared down the Yukon River in his boat. Some time later reports filtered back from villages along the lower Yukon of a mysterious elderly white man drifting down the river in a small boat, unresponsive to attempts at communication. Eventually reports came back from some Natives hunting on the Yukon delta of a man standing in a boat, shielding his eyes against the harsh western sun while looking out to sea. 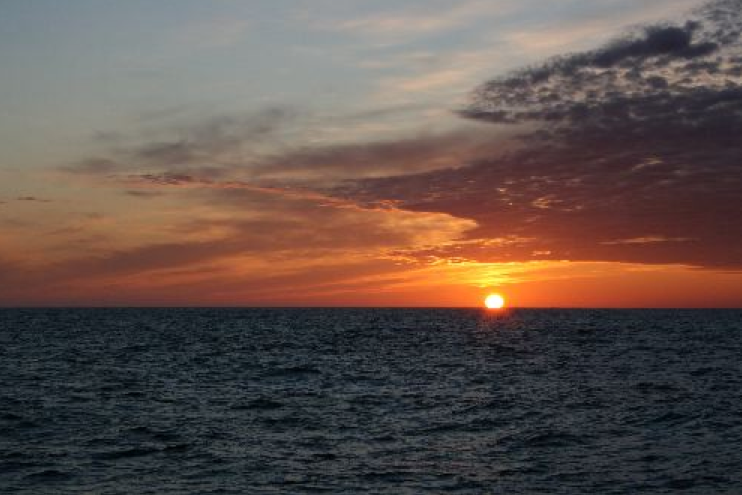 Jack and his boat floated out into the Bering Sea and were never seen again. This entry was posted in Bush Roadhouses, Roadhouses, Taylor Highway and tagged gold, Helen Hegener, Northern Light Media, roadhouse, Woodchopper Roadhouse on September 13, 2015 by Helen Hegener.